Be surprised by the Guayadeque Museum, Gran Canaria. 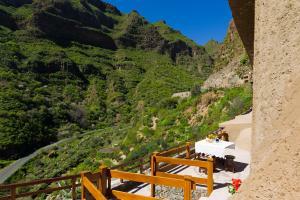 The Guayadeque Museum is housed in the Guayadeque Ravine Interpretation Centre, a building enclosed on the slopes of the ravine following the traditional troglodyte architecture, in the municipality of Agüimes, Gran Canaria. 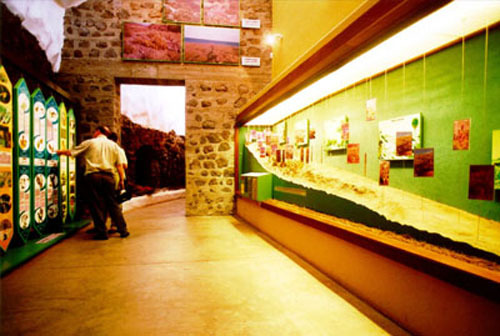 In this museum you’ll discover the environmental and heritage resources of Guayadeque. Here you might go back in time to the remote past of when the erosion and volcanic activity formed this landscape till its actual situation. Tuesdays to Saturdays from 9am till 5pm. Sundays from 10am till 3pm.